This orthopedic superior grade memory gel cushion will add relief and comfort to any chair, bench, car seat, plane seat, wheelchair, or floor. The cooling gel-enhanced technology stabilizes temperature by reducing trapped body heat in the cushion and relieves pressure points. The specially designed U-shape contoured cushion provides relief from pain and tension, and promotes good posture, proper spine alignment, healthy weight distribution, and ultimate comfort. 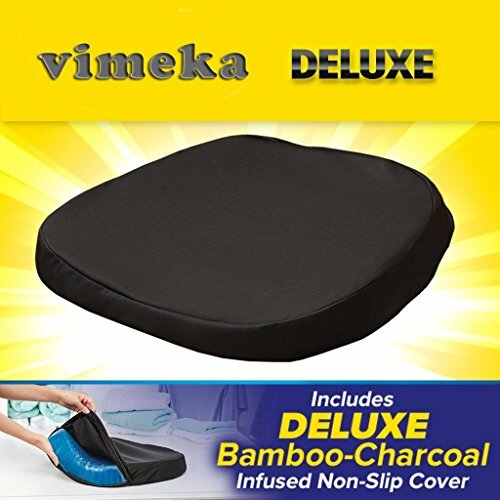 If you have any questions about this product by VIMEKA, contact us by completing and submitting the form below. If you are looking for a specif part number, please include it with your message.